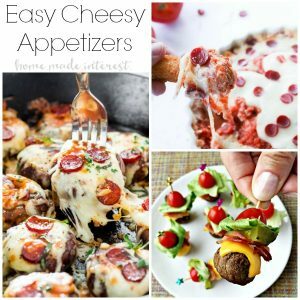 Easy Cheesy Appetizers - Home. Made. Interest. We’re excited to be partnering with Farm Rich to help celebrate National Cheese Day today! 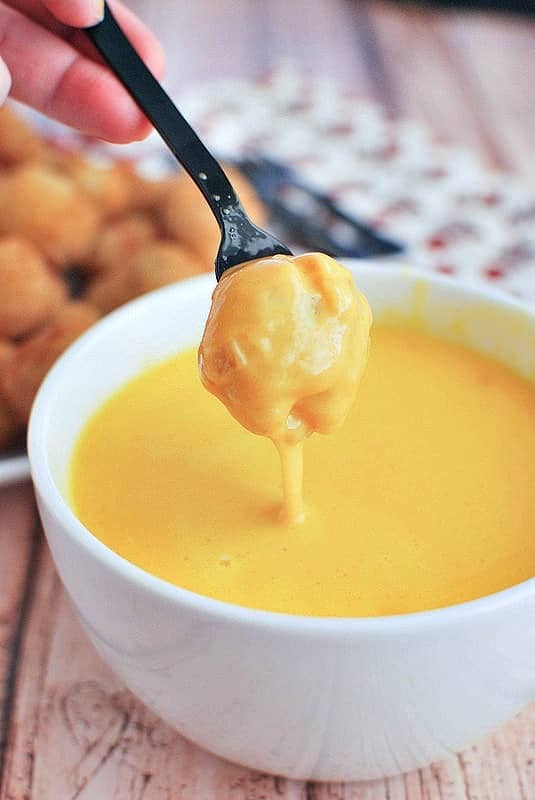 Every party needs a few cheese appetizer recipes so we’ve rounded up some Easy Cheesy Appetizers for everything from game day to a wine tasting party! Did you guys know that June 4th is National Cheese Day?! If you’ve been following along at home by now you know 2 things about us 1) We love a good party. 2) We love cheese. I think we can all agree the two things go hand in hand. I mean what is a party without ooey, gooey cheesy appetizers? In honor of both our love for cheese and the fact that we’ll use any excuse to throw a party, we’re celebrating National Cheese Day with this awesome list of Easy Cheesy Appetizers that are guaranteed to make you the star of your next party! 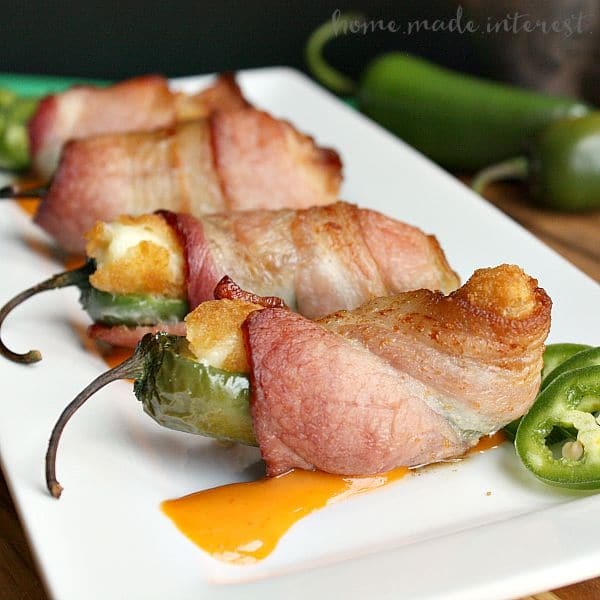 These Bacon Wrapped Jalapeño Poppers look and taste amazing and they are so easy to make thanks to a genius hack using Farm Rich Mozzarella Sticks! It doesn’t get any easier, or cheesier than that.When you’re planning a party the key to making great food and still having time to enjoy yourself is choosing simple ingredients that look and taste great but don’t actually take a lot of time to make. 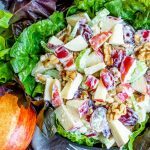 Farm Rich is all about “Real-Life Good™” and they offer lots of tips and hacks for simplifying your life with great tasting food. Wow! 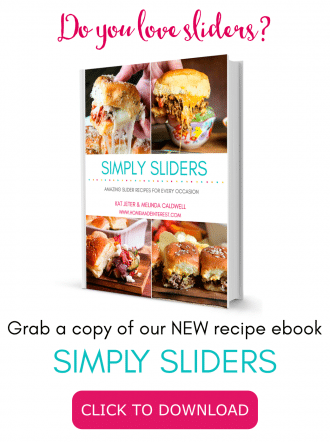 Talk about a snack hack that is going to make you look like a gourmet chef! These Bruschetta Mozzarella Bites are made with fresh bruschetta and Farm Rich Mozzarella Bites which are 100% real mozzarella cheese surrounded by soft pizzeria dough, making it a tiny pillow of cheesy goodness. I need these in my life! 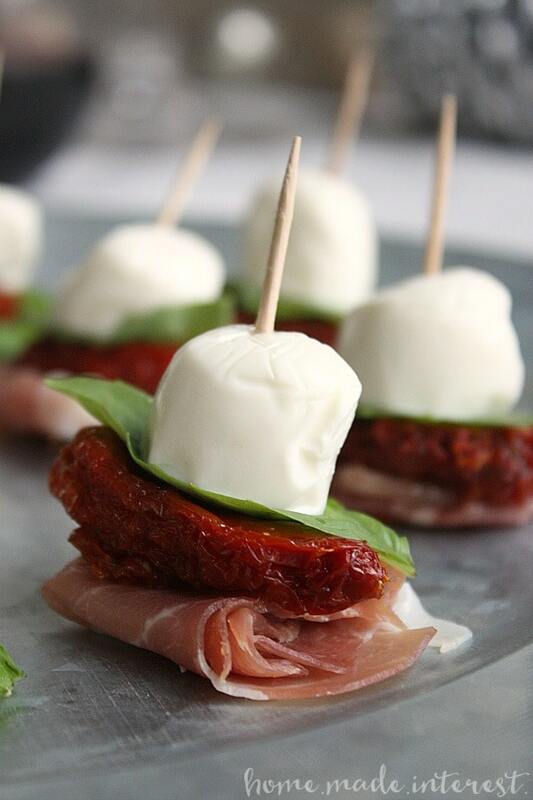 If you’re looking for a simple, elegant, delicious cheesy recipe that doesn’t even require you to turn on the oven you have to try these Antipasto Skewers. 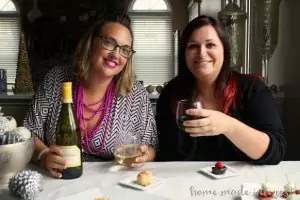 We made them for a wine tasting party that we hosted but they make a great appetizer year round. If your party is a little more casual, pizza is always a good way to go. Who doesn’t love cheesy pizza?! 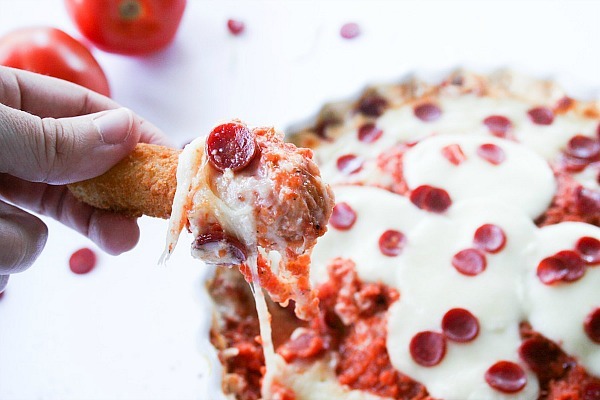 This Pizza Dip recipe looks so ooey, gooey good and I never would have thought to use Farm Rich Mozzarella Sticks as a dipper but now that I’ve seen it I can’t get it out of my head. 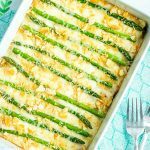 So much better to dip in than the usual marinara sauce! 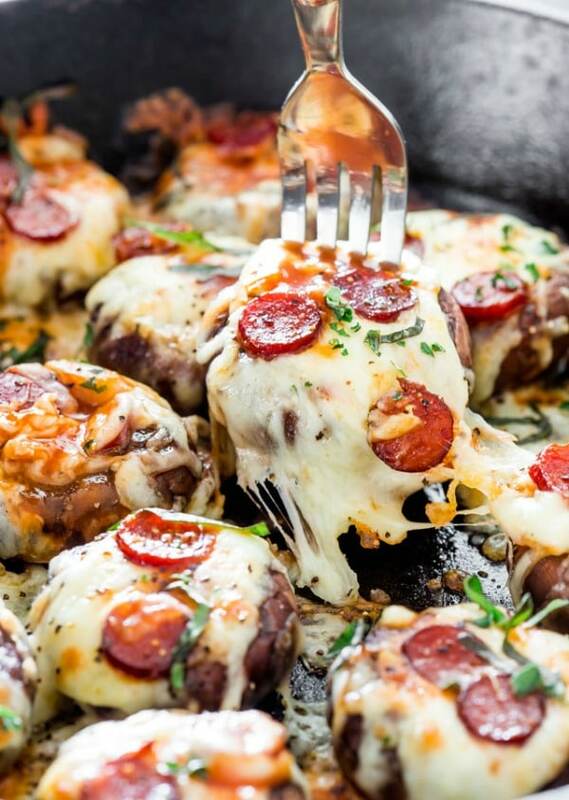 While we’re on the subject of deliciously cheesy pizza appetizers you’ve got to check out these Pepperoni Pizza Stuffed Mushrooms. 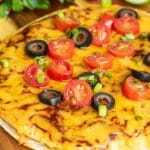 All the goodness of a piece of pizza without all of the carbs! 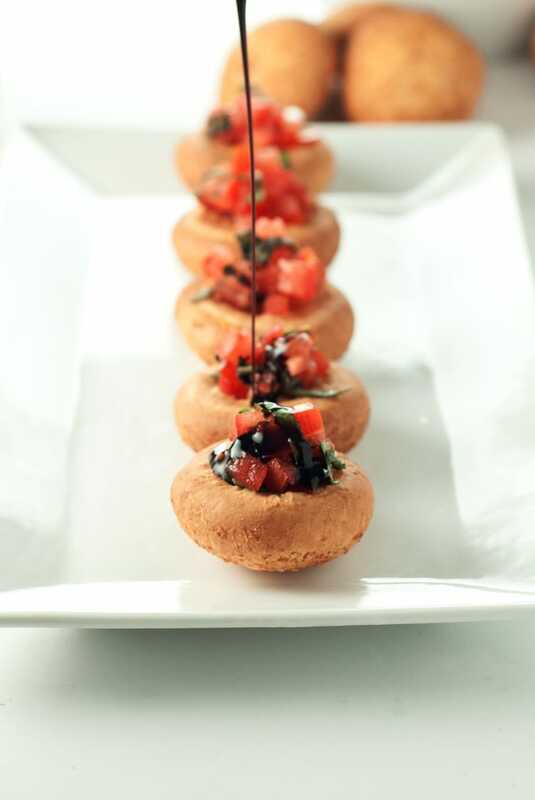 These pretty little pizza bites are quick to make and perfect for a party. Mushrooms practically beg to be stuffed with cheese and they cook really quickly which makes them great for parties. 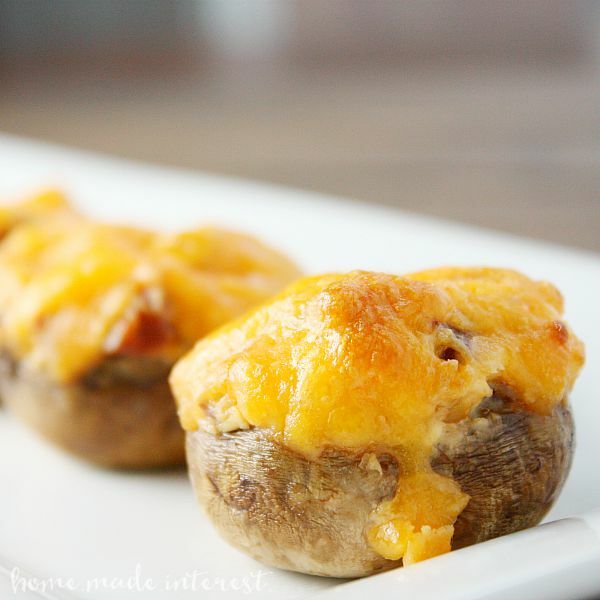 I love these Chorizo and Cheese Stuffed Mushrooms because you can make them the day before and then pop them in the oven before guests arrive. 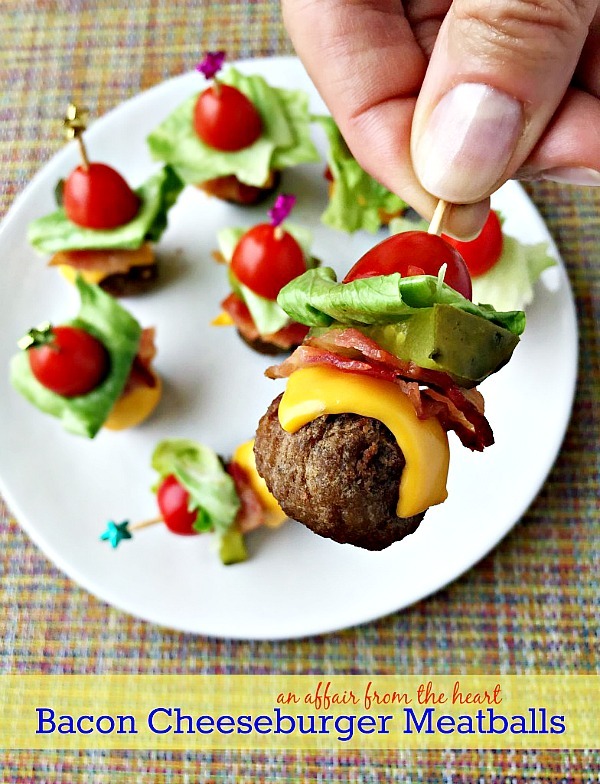 How adorable are these Bacon Cheeseburger Meatballs?!? You can get the taste of a burger without going through all the trouble just in one bite. Use Farm Rich Original Meatballs for this low carb, gluten free, burger option. Yep that’s right! Farm Rich Meatballs are gluten free! Beer Cheese Fondue! Could this be more of a party food? You can dip Farm Rich Breaded Mushrooms or Farm Rich Crispy Dill Pickles in this cheesy explosion. 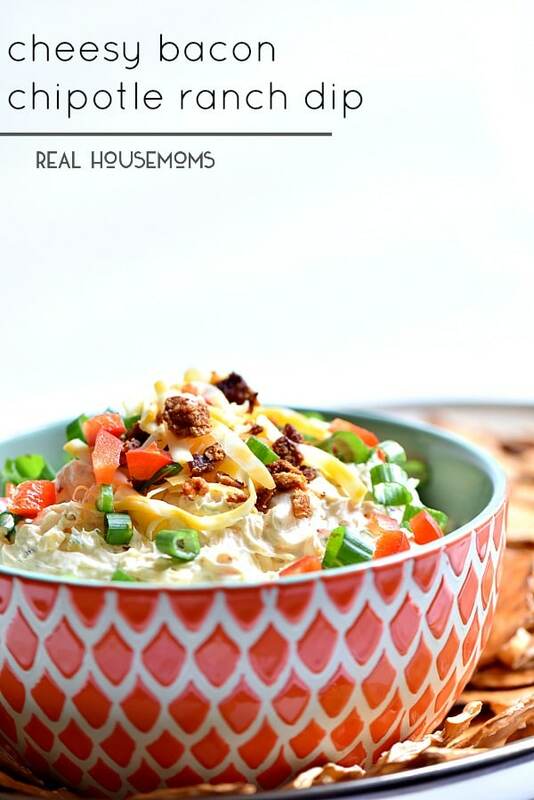 Bacon, Chipotle, Ranch, this Cheesy Bacon Chipotle Ranch Dip is speaking my language. I could seriously eat this whole bowl with a spoon all by myself. Don’t judge! There is nothing better than fresh corn in the summer! 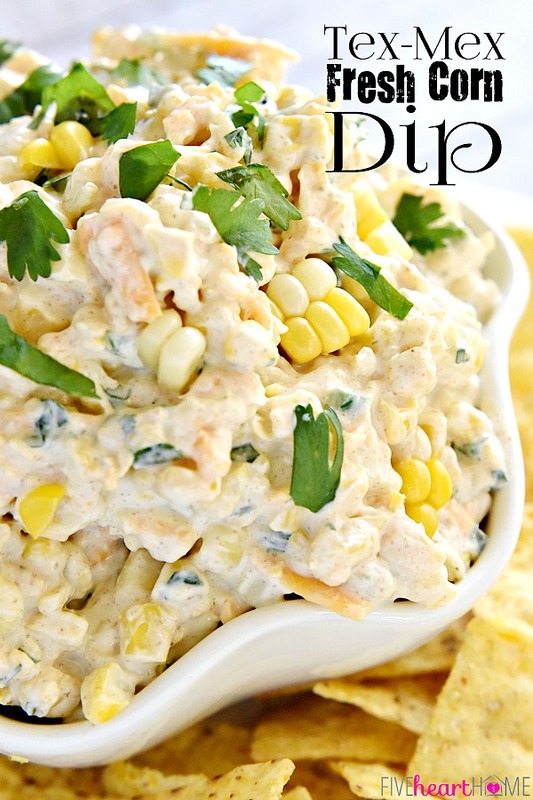 This Tex-Mex Fresh Corn Dip is a perfect appetizer or snack for any summer cookout or get-together! Alright, I think that is enough easy cheesy appetizers to get your party started! If you are looking for a little more inspiration make sure to sign up HERE to receive the Farm Rich email newsletter for exclusive offers and promotions. Oh wow. 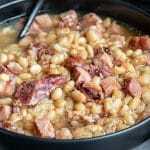 You have come up with some mouth watering bites here. I think I would like them all. I know my husband would love the bacon wrapped jalapeno.